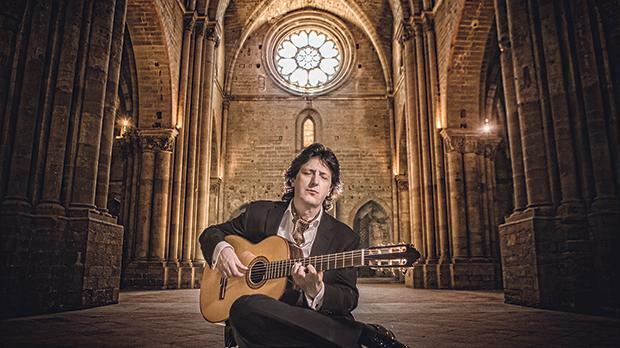 World-renowned flamenco guitarist, Canizares, will be joining the Malta Philharmonic Orchestra to perform Rodrigo’s well-loved Concierto de Aranjuez. He talks to the Sunday Times of Malta about his love for this particular concerto, his roots in flamenco music and his musical vision. The Concierto de Aranjuez is very special to you as it reminds you of Master Joaquín Rodrigo. What does this concerto mean to you? My first encounter with him took place in Torrelodones in 1991, during the recording of Concierto de Aranjuez by the inimitable master of guitar Paco de Lucía, with whom I had the honour to work for 10 years. In the first half of these concerts, the great Paco played Rodrigo’s famous work, and in the second half we played some flamenco pieces. In this way, I had the privilege of listening to Concierto de Aranjuez nightly, from the backstage of the most emblematic theatres in the world. This made me understand the guitar’s endless possibilities, as well as the greatness and universality of master Rodrigo’s work. Twenty years later, my debut with an orchestra, the Berlin Philharmonic Orchestra, conducted by Sir Simon Rattle, was Concierto de Aranjuez. I was invited to its Europakonzert, which took place at the Teatro Real in Madrid, in the orchestra’s first collaboration with a flamenco artist. After this unique experience, I have had the privilege to work with many orchestras all over the world and every time I play it, I always try to give my best. How do you feel about playing the Concierto de Aranjuez, this time with the Malta Philharmonic Orchestra? This is my first visit to Malta and the first time I’m working with the Malta Philharmonic Orchestra. I am really looking forward to it. I have worked many times with Maestro Pablo Gonzalez, playing this concert, and it is always a most rewarding experience, feeling quite at home. I am sure that this collaboration with the Malta Philharmonic Orchestra will also be a wonderful experience. Although you are famed as a flamenco guitarist, you are also very passionate about classical music. How do these two types of genres complement each other? My last album El Mito de la Caverna (Allegory of the Cave) is, for me, a symbol of the philosophy towards these two words. As a metaphor, Plato’s Allegory of the Cave accurately expresses my feelings and attitude about music. Since I was a child, I have always felt that my musical experiences lie across two pillars: flamenco tradition on the one hand, and study-driven musical theory on the other. Flamenco was always present when I was growing up; it is there in my earliest memories: my parents sang, my brother played the guitar… it was something natural, almost instinctive, like breathing; a feeling that was always there in the family and our environment. Following the Platonic metaphor, Flamenco tradition taught me the language of shadows in the cave: that tenuous light, those mysterious sounds, which reached me as they floated down the river of tradition. A very rich language, expressive and deep, which became an irreplaceable inspiration for me. Years later, with the academic discipline of the conservatoire, I learned musical theory, what we can call, in the terms of our metaphor, the light of the sun: an intellectual perception that allowed me to travel in to a different musical world. There is little doubt that the incomparable experience of transcribing and interpreting works by such masters as Albéniz, Falla, Granados and Scarlatti has broadened and enriched my musical vision. This constant quest for balance between the classical light and the chiaroscuro of flamenco is an act of respect, a heartfelt tribute to my roots, to the tradition I come from. How has your music evolved along the years? Would there have been any part of your musical journey that you would have liked to change? My music has followed my own life experience, my musical feelings. My collaborations with orchestras, pop, jazz or rock has allowed me to feel music from very different angles. My personal perspective on music, and all the experiences that I have found along the way, add up to make me feel very happy with my career. In addition, now I can also explore my side as symphonic composer, with two concerts for guitar and orchestra. I am very happy about it all. What, in your opinion, is the secret to becoming a phenomenal guitarist? I don’t know, as I am still learning. At any rate, my aim is to be, every time I leave the guitar after a session, a better musician and guitarist than I was when I started. I think that hard work is the only way forward, because music is a cumulative endeavour. It is a bit like hair. You don’t notice it growing, but one day you look at yourself in the mirror and you notice that you have a large mane of it. Growth is there but it is slow, imperceptible day by day. That’s the way I’d describe my career. Canizares will perform with the Malta Philharmonic Orchestra conducted by Pablo Gonzalez, in a concert on December 14 at the Manoel Theatre. More information is available online.